Ramanagara, off the Bangalore-Mysore highway, is now the new hotspot for birdwatchers, rock-climbers, and coffee crashers. 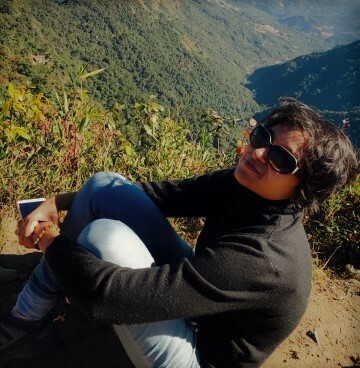 This place is known for its silkworm rearing, and of course, THAT scene from THAT Hindi blockbuster, Sholay, but of late, its rocky terrain has attracted more trekkers and climbers than silkworm farmers. I have neither trekked nor climbed in Ramanagara. And I would not go and voluntarily see silkworms. I would have to be in a North Korean prison, subject to intense mental torture, before I agree to see worms wriggling in cocoons. But around 50 km away from Bangalore in Ramadevarabetta lies the country’s first and as far the Internet knows, the only vulture sanctuary. The place is hard to find even though there is a signboard that indicates the existence of such a sanctuary. If you are coming from Mysore, the road to the sanctuary will be on your left. A further 10-minutes of driving and you come across this surprisingly open terrain. After meandering through mud roads and a slum where kids swarmed over the car, I pulled over to what seemed like a park. The board there proclaims this is a vulture sanctuary. This is the Ramadevarabetta Vulture Sanctuary. There are no vultures though inside the park at this hour. I look up hopefully at the trees above. But no. There are none, although there is a Brahmini Kite swirling high up. Wherever the vultures were, they are gone now. Further inside though, a small shop sells ‘cool drinks’ and the kind of junk food that makes you want to run 10km later. 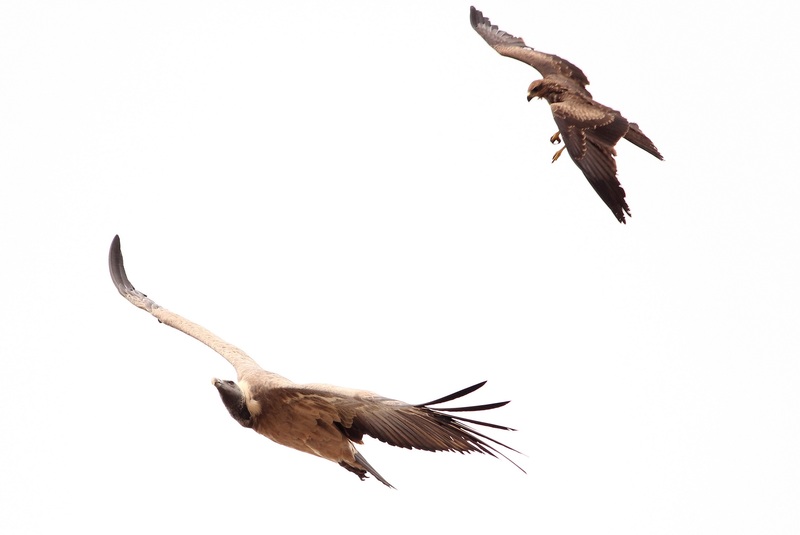 Both Egyptian vultures and long-billed vultures have been sighted here, scavenging the skies. The Indian Express states that long-billed vultures are found in only two places in India: in Himachal Pradesh and in Ramanagara. The species is already endangered and I wonder how long these winged birds will survive our onslaught. This post from Conservation India warns that despite the government’s efforts to declare the area as protected, the more pressing threat comes from the use of Diclofenac, a veterinary drug. Long-billed vultures feed only on animal carcasses, and a Diclofenac-laced carcass is fatal to these beautiful birds. India once had more than 80 million vultures and their population is now just numbering in the thousands. The culprit? Diclofenac, which was widely used in livestock. The faint lingering clouds of the monsoon pass me by. Bluer sky in patches. And still no vultures. I wonder where they are in this evening. But Ramadevarabetta is a sight in itself. Lush green camouflages the entrance. “Hurry up, they will close the gate by 5PM,” the shopkeeper warns. We nod. It’s just around 4 45PM. Plenty of time, we think. Or not, depending on your perspective. We didn’t expect a temple here. We were looking for vultures. But who can resist a temple? Especially one that is perched on top of a hill? Stone steps lead you up, the path cloaked in green. The steps are steep, but not many. As you climb, the trees and shrubs part ways at times and you can see Ramanagara District spread out below. Within 10 minutes you reach the top. A little white temple stands further away, the doors closed now. A roped fence guides you to a rocky boulder. You stand there, take in the view. There are still no birds. But the sun is just mild, beginning its descent. For a while you stand there, and you wonder why, almost always, the climb to anywhere is worth it? “We have to go,” I urge, mindful of the shopkeeper’s warning. We clamber down. I look back again at the sky. Someday, I will be back and that time, I hope the vultures will be there. Image From Bangalore At A Glance.